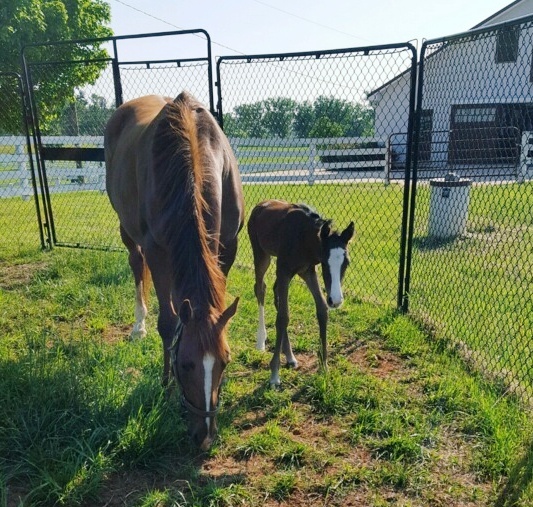 It’s only fitting that our 12th foal – another filly – arrived on Black-Eyed Susan Day, the “Ultimate Girls Day Out” celebrating the spirit and strength of women! 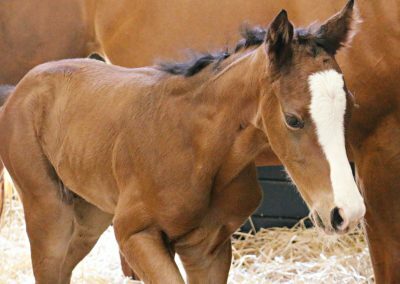 What an exciting way for our 2017 foaling season to come to a close. There is only less than a 1% chance of 12 fillies and 0 colts. 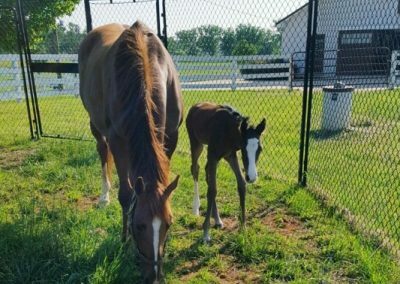 We are so grateful for our amazing broodmare/foaling team who have been watching mares since December. 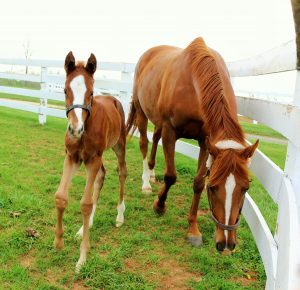 Thanks to them, we have 12 happy and healthy mares and foals! 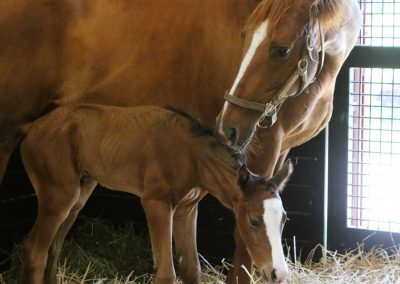 She was born at early this morning and is out of Evening Sky by Ghostzapper. Evening Sky came to Sagamore Farm from Japan, and Ghostzapper had an incredible racing career. During his 4YO racing career, he was named Eclipse Champion Horse of the Year and Champion Older Male. 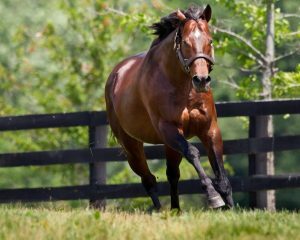 He won the 2004 Breeders’ Cup wire-to-wire in record speed. 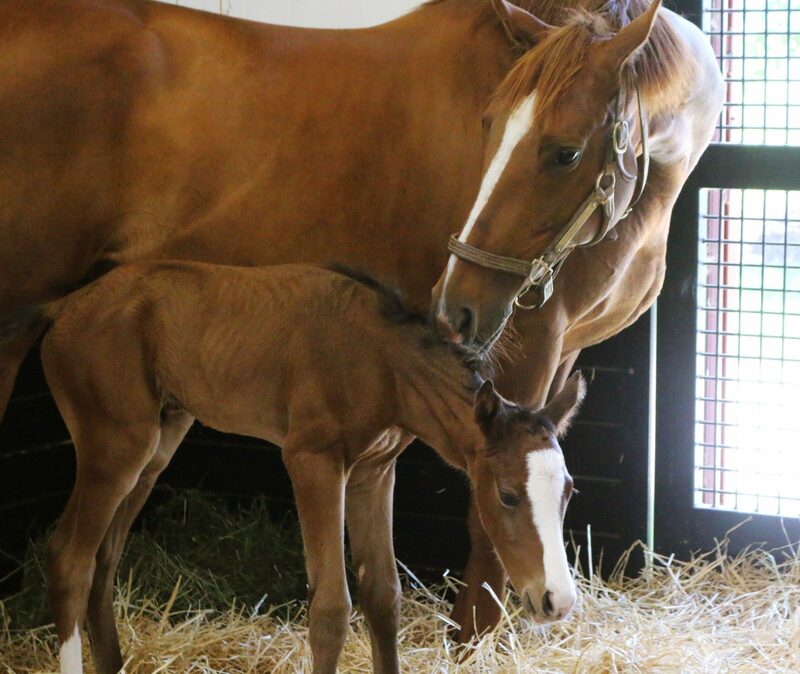 This filly has a full sister out of Evening Sky by Ghostzapper who was born last year. Evening Sky’s 2YO Thousandyardstare is training very well at the farm! He is by Empire Maker. Thanks to everyone who followed along as we shared many exciting filly announcements this foaling season! Looking forward to seeing what 2018 brings!